Minoyaki is one of Japan’s signature ceramic traditions, practised today in Gifu Prefecture. We learn about where it is taught at ishoken and displayed at Gallery VOICE. ishoken (Tajimi City Pottery Design and Technical Center), established in October 1959, is the institution that evolved from the Minoyaki Overglaze and Enamel Decoration Research Center. 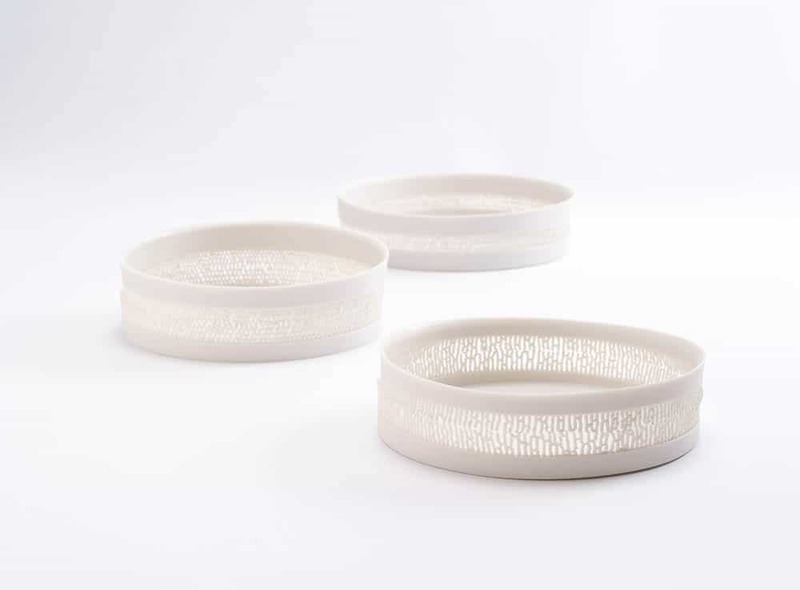 Since March 1960, when the first graduating class finished the ishoken training program, more than 850 young talents have graduated to become active as ceramists or designers. Based on this long history and tradition of minoyaki, the 1st International Ceramics Festival Mino, Japan was held in 1986, attracting a number of applicants from all over the world. Since then, the festival has been held every three years with the theme of “International Exchange through Soil and Fame: From You, From Now, From Here”, celebrating the tenth festival in 2014. In the history of the competition, there have been 25 graduates of ishoken who won various prestigious awards including the grand prizes. ishoken offers three courses in design, craft and ceramics. The program has been expanded to provide up to three international students with opportunities for cultural exchange. Deadline for applications is 31 October 2017. See guidelines. 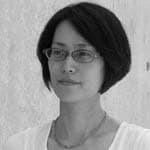 Naho Yamashita is in charge of the “International office” in ishoken (Tajimi City Pottery Design and Technical Center). 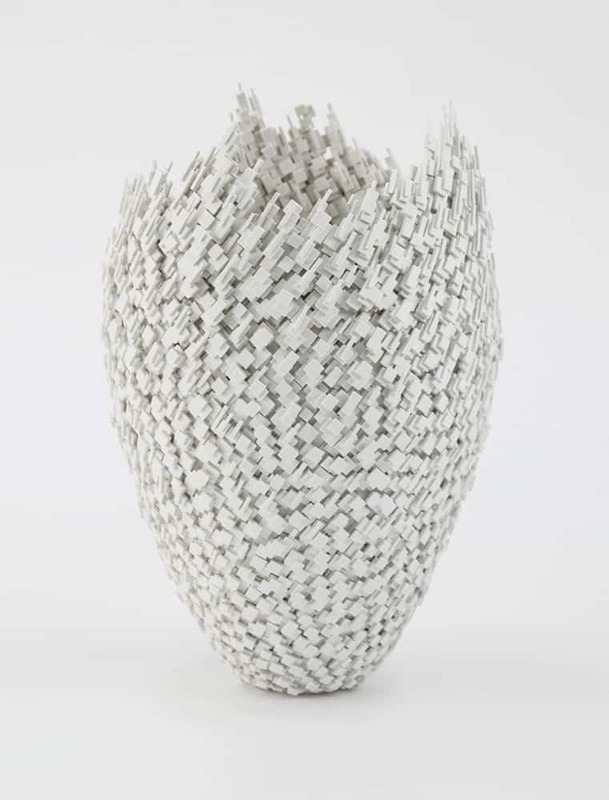 Her specialised field is ceramic design, plaster moulding and slip casting. Gallery VOICE is situated in Tajimi City, in the southeast of Gifu Prefecture. 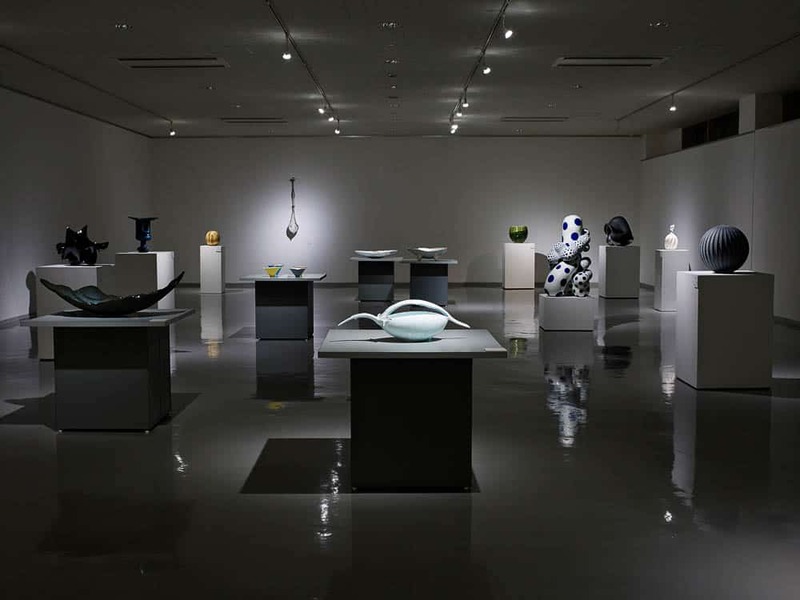 The history of ceramic culture in this area goes back to the Kofun period, that is, more than 1300 years ago. Various ceramics produced in this area are famous as minoyaki, and Tajimi city forms the greatest ceramics producing district in Japan. The Gallery VOICE is the semi-public facility which is managed by KYOEI ELECTRIC KILNS CO., LTD. Since 2007 the Gallery VOICE has purchased and preserved works of local ceramic artists. This collection is called the Ushida Collection after the name of the president Takuzo Ushida. The first acquisition for the collection made in 2007 was Mr. Harumi Nakashima’s work <WORK-0702>. Since 2016, Mr. Harumi Nakashima has filled the post of the director of Tajimi City Pottery Design and Technical Center, or so-called ishoken, which is the institution for the training of ceramic artists, turning out many talented graduates who are now active in today’s pottery industry. 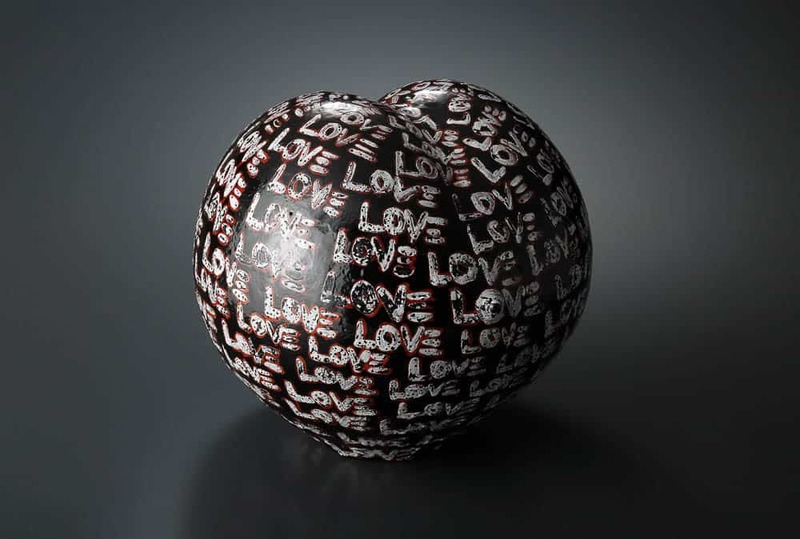 He also works as a ceramic artist and is highly praised around the world. Works of the Ushida Collection, including his work, are regularly presented at exhibitions by the Gallery VOICE. 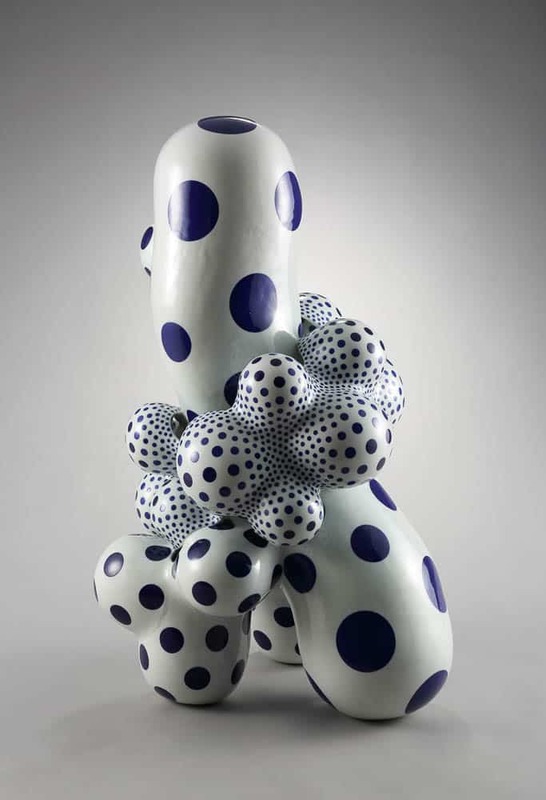 Moreover, for twelve years since the opening, our gallery has also organised exhibitions of contemporary ceramics to grapple with the art of ceramics from different angles. This fall, the Gallery VOICE will hold an exhibition called “Shino shino SHINO” under the sponsorship of the project of International Ceramics Festival ’17 MINO. This is the 11th occurrence of the festival, which has been held every three years since 1986 at Tajimi city. Shino ware is one of the eminent glazed potteries originating in Mino area. With its characteristic features, it is called Shino overseas also. 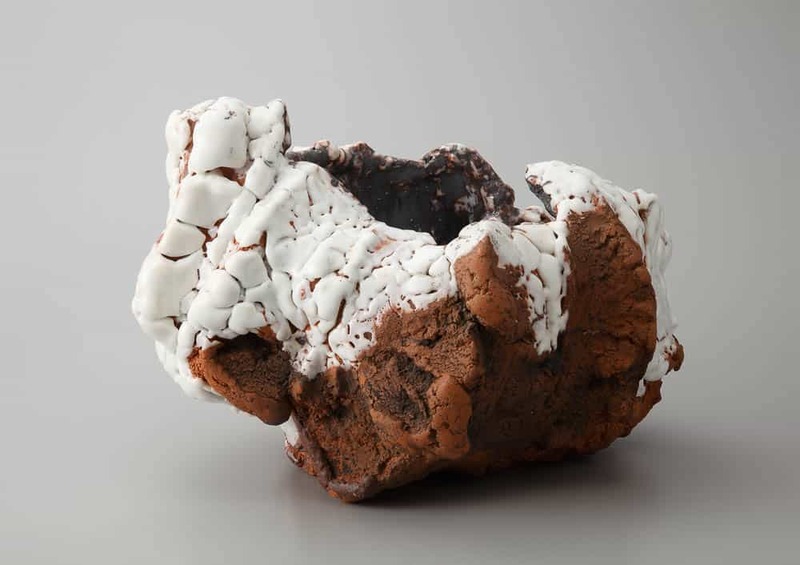 This exhibition introduces four contemporary ceramic artists who, fascinated by Shino, are pursuing their own creative activities. 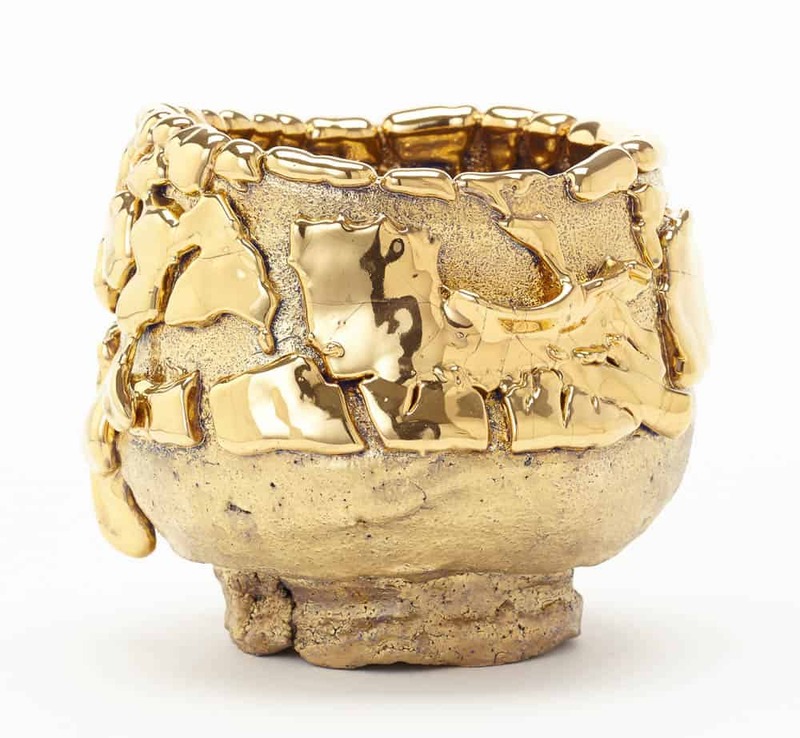 Takuro Kuwata creates works that maximise the effect of vivid colours and kairagi of Shino glaze, that is cracks which appear when feldspar glaze is fired. Hideki Goto creates powerful and unique works of Shino. 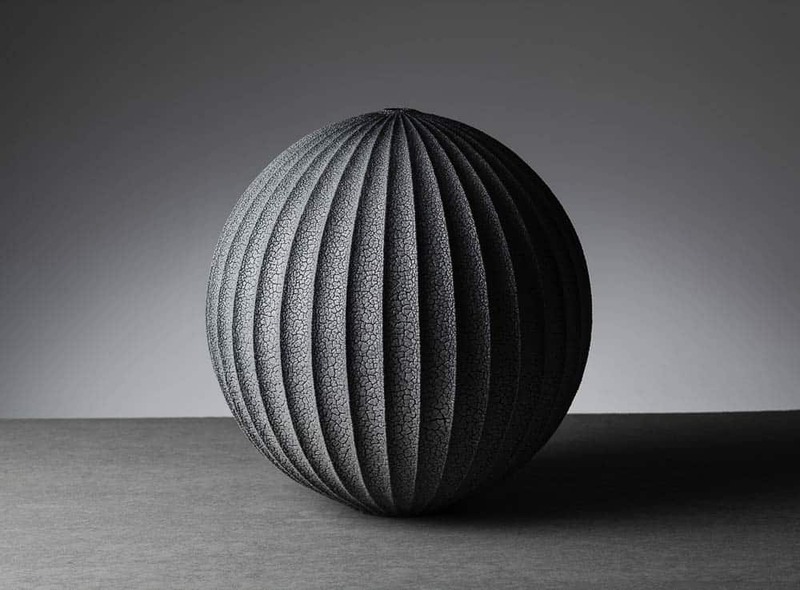 His representative work, Watatsumi, is a dynamic piece: the colours of glaze match up so well with its shape. Hiroshi Sakai names his original works Dark Blue Shino wares. He paints the body with gosu (zaffer) before glazing feldspar glaze, so that fine blue kairagi could be shown up on the surface. With the sophisticated appearance generated by beautiful ridge lines and blue colours, his works have been highly valued because of their contemporary flair. Shinji Suzuki creates various variations such as Purple-Shino, Nezumi-Shino, and Red-Shino. In addition, he is boldly trying to create a new work with overglaze painting on Shino glaze. Shino Shino SHINO runs 9 September – 3 December 2017. The venue is TAJIMI-SOZOKAN 3F, 5-9-1, Hon-machi, Tajimi City, Gifu, 507-0033 JAPAN. Tomoko Kawakami graduated from ishoken (Tajimi City Pottery Design and Technical Center) in 1978. 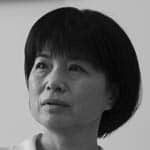 She won the Special Judge’s Award selected by Yusuke Aida at the 5th International Ceramic Competition MINO (Japan) in 1998, and she also won the grand prize at the 54th Premio Faenza (Italy) in 2005 She has served as the general manager at Gallery VOICE since 2006.